Why You Need to Replace Your Old Wiring Immediately? Dimming lights Keep an eye out for dimming, flickering or buzzing lights because they call for an immediate professional upgrade. If you notice that your lights keep flickering or dimming whenever you turn them on, that’s a sign of damaged wiring. The same case applies to when they dim as you turn on different appliances, especially those that consume a lot of power.Dimming may be normal, but it should not happen often because that would mean you have an overloaded circuit. A properly wired system and one whose circuit isn’t overloaded rarely sees the lights flicker or dim. You therefore shouldn’t wait for your circuit breaker to trip to seek the assistance of an expert. Buzzing switches and outlets If an electrical switch or outlet makes some funny noise, it could be a sign that there is loose wiring in the electrical box. You should have the outlet, or the switch replaced as soon as possible to prevent damage. The outlet or switch could become discolored or charred in the case of faulty wiring.Apart from the electrical box, there could be faulty wiring in the circuit, in most cases near the light switch or outlet. The result of defective wiring is short circuits which cause the switch to make small and short-lived fire, making the switch or outlet to discolor or char as the heat builds up. Burning stench Whenever you sense an electrical problem in your home, use your nose to sniff for any burning or smoke odors. As an electrical fire starts, it has a similar smell to that of a burn, as the short circuit causes a little fire.However, electrical fires are different since they catch different surrounding materials. An electrical burn has an acrid smell, and it’s a sign that fire damage has already started. 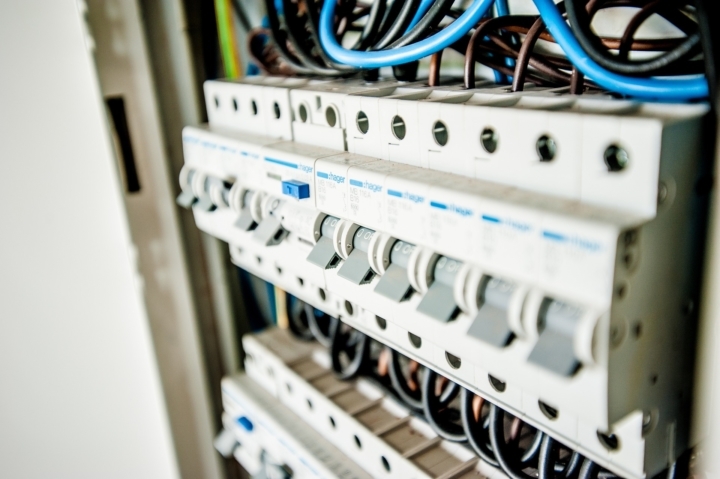 The most convenient way to prevent severe damages is calling in an electrical professional immediately. Switches or outlets that shock A shocking outlet or switch is a good indicator that something is wrong. It could mean that an individual wire in the circuit is shorting out to a conduit that encloses a bunch of wires. A device plugged into an outlet could be the cause of shocks, the plug, or even the outlet itself. The other possible cause is a wire that is not insulated or has lost insulation. If all the devices attached to a switch or outlet are removed and they still shock, then they should be replaced. A proper wiring examination by a professional is also necessary. Circuit breakers and fuses that keep on tripping Circuit breakers and fuses prevent fire breakages. A circuit breaker trips whenever the system becomes overloaded. It is reusable since you only need to switch it back on. Unlike a circuit breaker, a fuse blows out, and thus requires to be replaced. If these two go out regularly, it would mean that your appliances are exceeding the amps set in both, or there is a short in the wiring system due to less amp load established in both.Note that circuit breakers wear out over time, and faster if they trip often. If the tripping and the blowing out of fuses occur multiple times in a month, then you should consider that as a sign of danger. Frayed wiring Rodents and pests can chew up your wiring system, thereby posing a fire hazard. Amateur electricians can also leave wires frayed and hence the need to contact an electrical contractor to work on the wiring faults in your home. Hot wall outlets Check by feeling whether any of your electrical outlets are hot or are vibrating. Dimmer switches will in most cases feel warm to the touch, but other switches should be normal, and if not, then there is the possibility of a wiring problem. In the case of vibrations or heat, have a qualified electrician check the wiring.